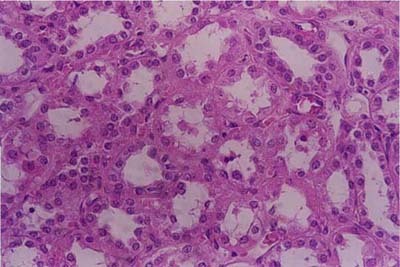 This histology slide is kidney. It shows the simple cuboidal epithelium. Note that the cells are as tall as they are wide. They also have a fairly round nucleus.